Belo Horizonte ( Beautiful Horizon) is the sixth largest city in Brazil, the thirteenth largest city in South America and the sixteenth largest city in the Americas. The metropolis is anchor to the Belo Horizonte metropolitan area, ranked as the third most populous metropolitan area in Brazil, the nineteenth most populous in the Americas and the forty-second largest in the world. Belo Horizonte is the capital of the state of Minas Gerais, Brazils second most populous state. The region was first settled in the early 18th century, but the city as it is known today was planned and constructed in the 1890s, in order to replace Ouro Preto as the capital of Minas Gerais. The city features a mixture of contemporary and classical buildings, and is home to several modern Brazilian architectural icons, most notably the Pampulha Complex. In planning the city, Aarao Reis and Francisco Bicalho sought inspiration in the urban planning of Washington, D.C. The city has employed notable programs in urban revitalization and food security, for which it has been awarded international accolades. Belo Horizonte was one of the host cities of the 1950 and the 2014 FIFA World Cup. Additionally, the city shared the host of the 2013 FIFA Confederations Cup. The term "Grande BH" ("Greater Belo Horizonte") denotes any of various definitions for the metropolitan area of Belo Horizonte. The legally defined Metropolitan Region of Belo Horizonte consists of 34 municipalities in total, and a population of around five million inhabitants (as of 2007, according to IBGE). The intense process of urbanization that is taking place in the metropolitan region has made some of the political boundaries between municipalities in the region obsolete. The city is now composed of a relatively contiguous urban area, centered on Belo Horizonte, which extends out into municipalities such as Contagem, Betim, Nova Lima, Raposos, Ribeirao das Neves, Ibirite, Santa Luzia and Sabara, among others. The municipality bounded to the north by Vespasiano, to the north east by Santa Luzia, by Sabara to the east, by Nova Lima to the southeast, Brumadinho to the south and Ribeirao das Neves, Contagem and Ibirite to the west. The metropolis was once a small village, founded by Joao Leite da Silva Ortiz, a bandeirante explorer from Sao Paulo. The explorer settled in the region in 1701, leaving a gold rush expedition. He then established a farm called "Curral del Rey", archaic Portuguese for the "Kings Corral", which in modern Portuguese would be spelled Curral do Rei. The farms wealth and success encouraged people from surrounding places to move into the region, and Curral del Rey became a village surrounded by farms. Another important factor contributing to the growth of the village was the number of migrants from the Sao Francisco river region, who had to pass through Curral del Rey in order to reach southern parts of Brazil. Travelers usually visited a small wooden chapel, where they prayed for a safe trip. Due to this fact, the chapel was named Capela da Nossa Senhora da Boa Viagem, which means "Chapel of Our Lady of the Good Journey." After the construction of Belo Horizonte, the old baroque chapel was replaced by a neo-gothic church which became the citys cathedral. The previous capital of Minas Gerais, Ouro Preto (meaning "black gold", due to dark rocks with gold inside found on the region), originally called "Vila Rica" ("wealthy village"), was a symbol of both the monarchic Brazilian Empire and the period when most of Brazilian income was due to mining, and that never pleased the members of the Inconfidencia Mineira, republican intellectuals who conspired against the Portuguese dominion of Brazil. In 1889, Brazil became a republic, and it was agreed that a new state capital, in tune with a modern and prosperous Minas Gerais, had to be set. In 1893, due to the climatic and topographic conditions, Curral Del Rey was selected by Minas Gerais governor Afonso Pena among other cities as the location for the new economical and cultural center of the state, under the new name of "Cidade de Minas," or City of Minas. Aarao Reis, an urbanist from the State of Para, was then set to design the second planned city of Brazil (the first one is Teresina), and then Cidade de Minas was inaugurated finally in 1897, with many unfinished constructions as the Brazilian Government set a deadline for its completion. Inhabitation of the city was subsidized by the local government, through the concession of free empty lots and funding for building houses. An interesting feature of Reis downtown street plan for Belo Horizonte was the inclusion of a symmetrical array of perpendicular and diagonal streets named after Brazilian states and Brazilian indigenous tribes. In 1906, the name was then changed to Belo Horizonte, and at that time the city was experiencing a considerable industrial expansion that increased its commercial and service sectors. From its very beginning, the citys original plan prohibited workers to live inside the urban area which was defined by Avenida do Contorno (a long avenue which goes around the citys central areas), reserved for the public sector functionaries (hence the name of the still trendy neighborhood "Funcionarios"), and bringing about an accelerated occupation outside the citys area well provided with infrastructure since its very beginning. Obviously, the citys original planners did not count on its population growth afterwards, which proved especially intense in the last twenty years of the 20th century. In the 1940s, a young Oscar Niemeyer designed the Pampulha Neighborhood to great acclaim, a commission he got thanks to then-mayor, soon-to-be-president Juscelino Kubitschek. These two men are largely responsible for the wide avenues, large lakes, parks and jutting skylines that characterize the city today. Belo Horizonte is fast becoming a regional center of commerce. The Latin American Research and development center of Google, situated in Belo Horizonte, was responsible for the management and operation of the former social networking website Orkut. It continues to be a trendsetter in the arts, particularly where music, literature, architecture and the avant-garde are concerned. Belo Horizonte receives large numbers of visitors, as it is in the Brazilian main economic axis, exerting influence even on other states. Both multinational and Brazilian companies, like Google and Oi, maintain offices in the city. The service sector plays a very important role in the economy of Belo Horizonte, being responsible for 85% of the citys gross domestic product (GDP), with the industry making up for most of the remaining 15%. Belo Horizonte has a developed industrial sector, being traditionally a hub of the Brazilian siderurgical and metallurgical industries, as the state of Minas Gerais has always been very rich in minerals, specifically iron ore.
Clube da Esquina is one of the most important musical movements in the musical history of Brazil. It originated in the mid-1960s, and since then its members have been hugely influential in Brazilian and even international music, some like Milton Nascimento and Toninho Horta achieving worldwide acclaim. Other people involved in the movement include musicians, songwriters, composers, conductors and lyricists, such as Tavinho Moura, Wagner Tiso, Andersen Viana, Milton Nascimento, Lo Borges, Beto Guedes, Flavio Venturini, Toninho Horta, Marcio Borges and Fernando Brant, among others. The band Uakti - known for performing with self-built musical instruments - originated in Belo Horizonte under the influence of Walter Smetak and the Composition School from Bahia. Also, several nationally famous rock groups have been founded in Belo Horizonte, including Jota Quest, Pato Fu, Skank, 14 Bis and Tianastacia. 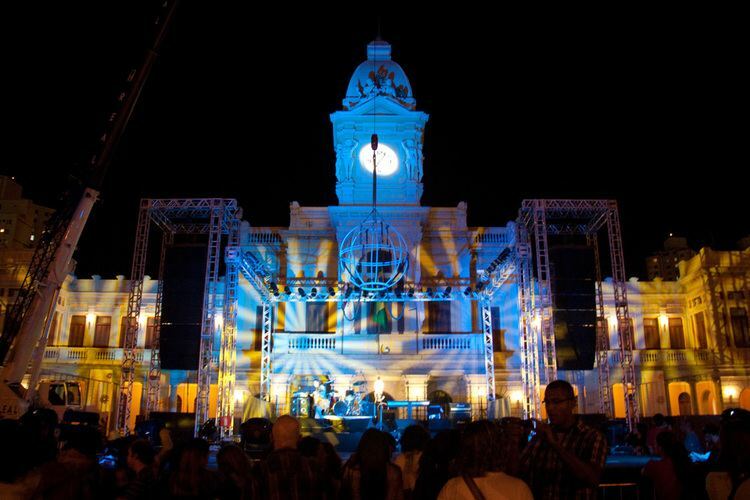 In later years, Belo Horizonte has been more frequently included in Brazilian tours of foreign mainstream and independent acts. Belo Horizonte is also known as the Brazilian Capital of Metal, hence the huge number of heavy metal bands (and the likes) founded there, especially in the 1980s. Most importantly, Overdose, the first metal band from BH and one of the first to gain prominence in Brazil; Sepultura, the worlds best known Brazilian metal band; and Sarcofago, one of the founders of modern black metal. The contemporary Christian music band Diante do Trono, is also of Belo Horizonte. A short instrumental song by American band Earth, Wind & Fire is named after the city on their album Now, Then & Forever. The regional Minas Gerais food and the now internationally known drink of cachaca are very popular and highly rated in the capital. Minas Gerais cuisine is famous for its traditional dishes, like pao de queijo, feijao tropeiro, tutu de feijao, pork ribs, chicken-and-okra (served with a rich, brown gravy and rice) and other usually heavy, comfort-like food. The city also abounds with pizza places, barbecue houses, fine restaurants of various nationalities and other options. 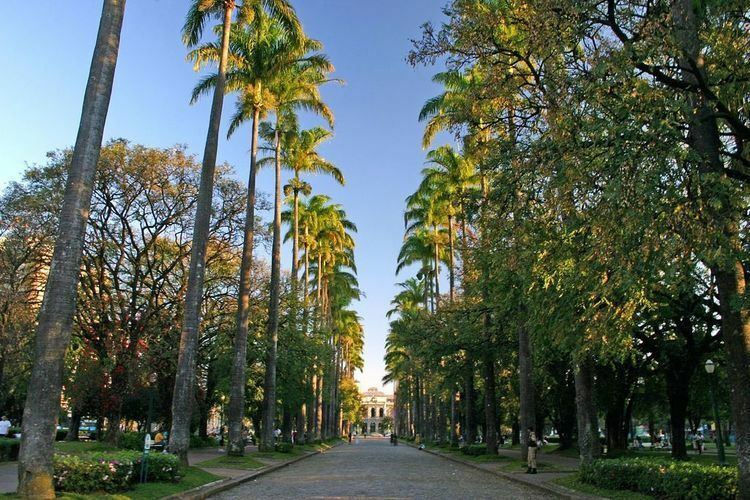 Belo Horizonte features a number of museums including the Mineiro Museum, the Abilio Barreto Historic Museum, Arts and Workmanship Museum, a Natural History Museum and the UFMG Botanic Gardens, a telephone museum, the Pampulha Art Museum, the Professor Taylor Gramke Mineralogy Museum, and the UFMG Conservatory. The puppet theatre group Giramundo was established here in 1970, and continues to maintain a puppetry museum hosting a collection of their creations. The Natural History Museum and Botanical Garden holds an important treasure of folk art – the Nativity of Pipiripau. Created during the 20th century, the craftsman Raimundo Machado, synchronizes 586 figures, distributed in 45 scenes, which tell the story of life and death of Jesus, mixed with its variety of arts and crafts. Palacio das Artes, inaugurated in 1970, is the largest and most varied cultural complex in Minas Gerais. It comprises three theaters, three art galleries, a movie theater, a bookstore a coffee shop and photography exhibition space. It offers high quality programs for the several expressions in arts. The building was projected by Oscar Niemeyer and it also houses the Minas Gerais Handcraft Center. The Pampulha Art Museum is located at the Pampulha Lagoon in Belo Horizonte in a building that originally housed the Pampulha Casino. The building was projected by Oscar Niemeyer, commissioned by the then mayor and future president of Brazil Juscelino Kubitschek in the early 1940s, with external grounds by landscaper Roberto Burle Marx. The building was the first project of Oscar Niemeyer. It was an old casino, closed in 1946. In 1957, opened with the Art Museum. His design was influenced by the principles of Le Corbusier. The gardens of Burle Marx are an tribute to the tropical green. There is three sculptures by Ceschiatti, Zamoiski and Jose Pedrosa. In 1996, it won new multimedia rooms, library, cafe bar, souvenir shop and technical infrastructure. The MAP has an impressive collection of 1.600 works. The Museum is an integral part of the "Pampulha Architectural Complex" a watershed in the history of modern architecture in Brazil and internationally. In 1993, under mayor Patrus Ananias de Souza, the city started a series of innovations based on its citizens having the "right to food". These include, for example, creating farmers markets in the town to enable direct sales and regularly surveying market prices and posting the results across the city. The citys process of participatory budgeting was linked with these innovations, as a result of which the infant mortality rate was reduced by 50% in a decade. There is some evidence that these programs have helped support a higher quality of life for the local farmers partnering with the city and that this may be having positive effects on biodiversity in the Atlantic rainforest around the city. The citys development of these policies garnered the first "Future Policy Award" in 2009, awarded by the World Future Council, a group of 50 activists (including Frances Moore Lappe, Vandana Shiva, Wes Jackson, and Youssou NDour) concerned with the development and recognition of policies to promote a just and sustainable future.